Pain is a part of everyone’s life, it’s our bodies way of letting us know that we are either hurt and something is wrong, or we are healing. Aches and stiffness are inescapable and while most of the time it’s not too serious, there are some types of pain that can wreak havoc on both your mobility and your sanity! Neck pain is that type of pain. Not only is it very common, it’s also on the rise. 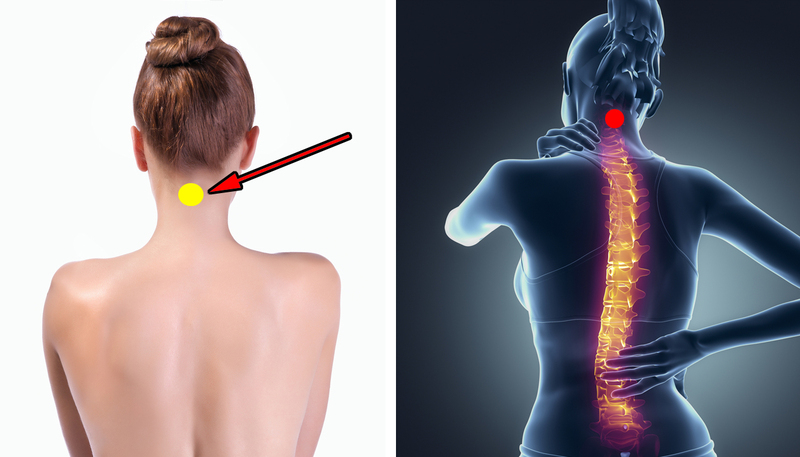 Lots of people develop severe neck pain overnight by sleeping in an odd position. If you’ve ever experienced this before then you know exactly how achy and terrible it feels upon waking. You can barely turn your neck to the side, instead you have to turn your whole upper body. The resulting limited mobility makes everything from driving and switching lanes safely to greeting people ten times more difficult, all because you unwittingly slept wrong. Another huge reason why so many of us have neck pain is our use of technology. Between the ever expanding use of cell phones and computers at work and home, we’re constantly staring down at our devices and looking at screens. On average, a person spends around 2-4 hours a day crooked over looking down at their personal devices. Young adults spend much more time than that, often logging hours at a time in just one sitting. As for neck pain, the root cause of it often comes down to a shortening of the muscle. This usually happens when we’re completely oblivious and unaware of the fact that we have twisted our neck in an unnatural way. The resulting strain ends up shortening the neck muscle and when this occurs it bothers the nerve, aggravating it greatly, which in turn causes us pain. That’s what makes moving our necks difficult, especially turning to the side. Whether your neck pain stems from craning it at a screen or sleeping oddly, there are some things you can do to alleviate the soreness and aching. In the accompanying video Dr. Mandell shows you exactly how to target, stretch, and massage away built up tension in the neck. The technique he uses is called cross fiber massage and if you watch his demonstration and listen as he explains what to do, then you can try it on yourself. It’s super easy and informative, so if you ever find yourself suffering from a stiff neck, the 90 second trick shown here can help bring you instant relief. For anyone reading this and others who may be concerned about neck pain stemming from cell and laptop use, there are some additional things that can be incorporated into your everyday routine to help you avoid it. First, it’s always important to sit up straight. This means stop looking down at phones and devices! Instead, you want to hold your phone up higher so that it’s right in front of your face and level with your eyes. There’s an app available that helps people remember to elevate their phones, it simply blinks a red light which warns you to raise your phone higher. Also, aim to stand up more often throughout the day. Get in a good stretch every hour, roll your shoulders, take a walk, and move around. Simply being conscious and aware of the things you are doing, and not doing, and for how long can help you avoid neck strain and pain and all of the uncomfortable aches and issues that accompanies it.